In 1953 the people of Tisdale Methodist Church erected a round-top building. The building housed a gymnasium and large kitchen. 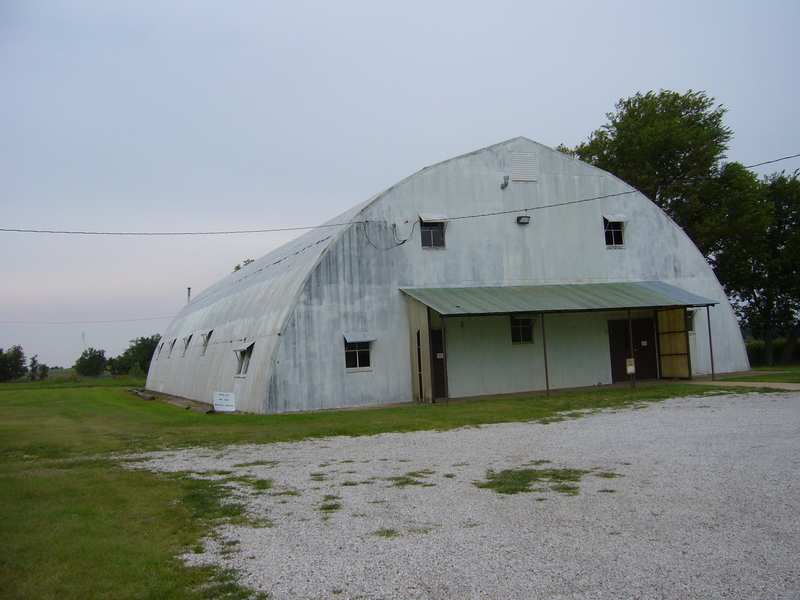 Over the years the building has seen much activity, including athletic practices and events, church and community dinners, 4-H meetings, family reunions, parties, wedding receptions, and other public gatherings. Many happy memories were made here. One of the most notable events was the “Little United Nations” event. Eleanor Roosevelt was among those who came to present the program. Time and weather have taken their toll. A problem of leaking that could not seem to be stopped, even though valiant efforts were made, eventually made the building unusable because of moisture and mold. Something had to be done. But,what? Several years of decision making and planning have taken place. A committee was formed to lead the church in a building program. As a result of the work of this committee a vote was taken and a new building was planned. In August a group of people began taking out anything on the inside of the gym that was possibly re-usable. Then in September a demolition crew came in to begin taking down the shell of the building. Demolition was complete about the last of October, 2008. On Friday, September 26, the first load of steel for the new building was delivered and unloaded on the site. The people of Tisdale United Methodist Church eagerly await the erection of a new building, which will house a gymnasium, kitchen, restrooms, and eventually classrooms. 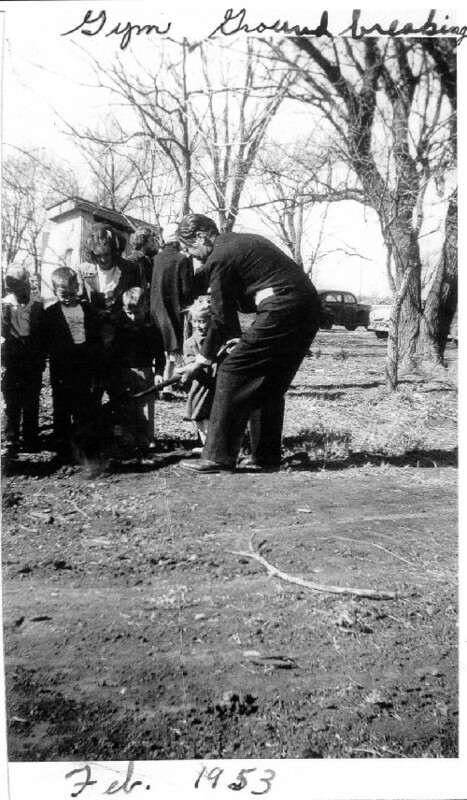 The picture below of the old gym groundbreaking was loaned by the late Ruth Scott, a member of our church for many years. We are still working on our new building but we still have more to do. We have finished the large gymnasium part, the restrooms and hallway. We now have the gym part air conditioned. Our next big project is finishing the kitchen so we can better serve dinners, etc. We already have hosted many events, both church and community in the gym. Click here: www.acestudiosfilming.com/ to see their accomplishments on their website and what services they offer. Click here to see a page of gym photos starting with the removal process of the old gym and progress photos of the building of our new gymnasium: http://www.tisdaleumc.org/GymPhotos This is a page with many photos and will take a long time to load all pictures but the wait is worth it. All the pictures have not been added yet but will be filled in when time allows.